Four years after their last collaborative masterwork Intention, these two kindred musical spirits merge their meditational music talents to guide both veteran meditators and adventurous newcomers on a soul-immersive path towards beauty and tranquility. 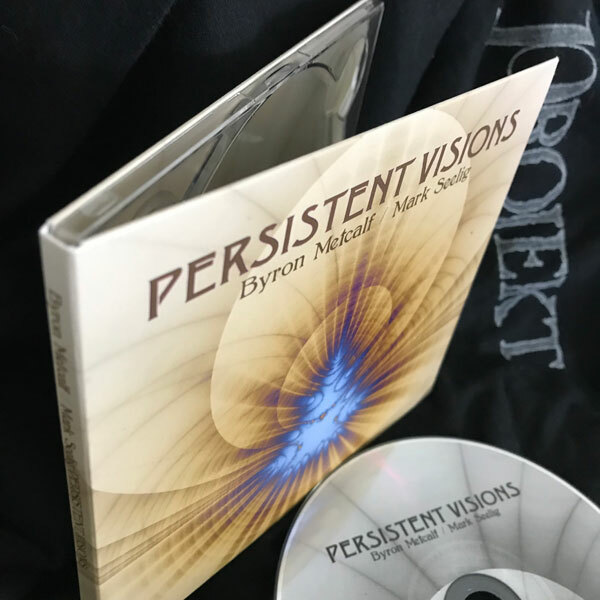 Byron’s superbly crafted meditative rhythms and patterns create a neural and sensory awareness of body and soul. 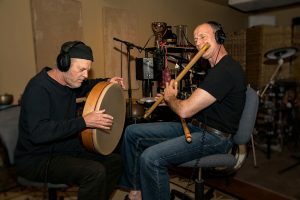 Mark’s bamboo (bansuri) flute performance is based on two classic Indian ragas that are beautiful and haunting and at times celebratory. From the dawn of history, spiritual seekers have relied upon visions for guidance, clarity, inspiration and more. Meditation, prayer, drumming, trance-inducing music, shamanic journeying, vision quests, ecstatic dance, and the ritual use of psychedelic plants and substances are some common approaches to the visionary experience. This album is a powerful support tool for extended meditation practices, massage and body work, entheogenic and empathogenic exploration, and any practice that is intended to reveal the Truth of one’s experience and life circumstances. Once the revelation of that Truth is recognized, the essential nature of persistence assumes the guiding role of an internal pathfinder. 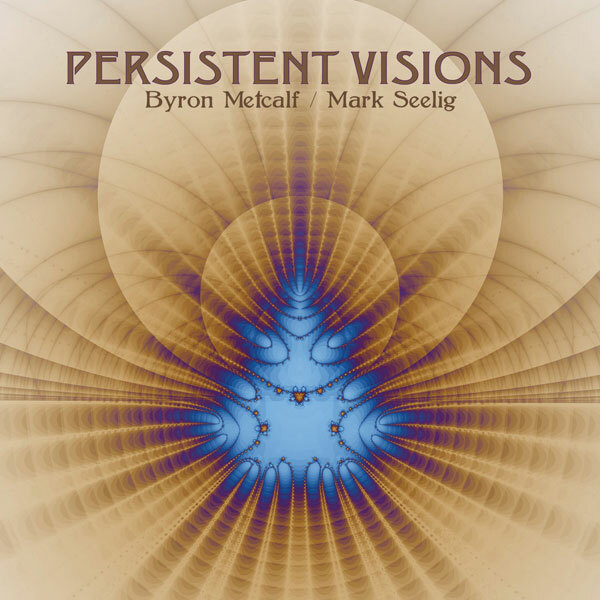 These seasoned veterans of shamanic and meditational music create a stunning recording that facilitates the unfolding nature of the visionary experience, and an alignment with the inner regions of the listener’s heart – an experience of balance and a deep sense of peace and calm. Cinque anni dopo Intention, i due esperti strumentisti americani (il percussionista Metcalf ed il musicista new age/ambient Seelig) tornano a collaborare per un nuovo album a quattro mani, anche stavolta sotto l’egida dello storico marchio Projekt. Racchiuso in un essenziale digipack, Persistent Visions consta di sei tracce che funzionano come un corpo unico (la versione digitale include infatti l’album anche in formato monotraccia) dove a dettare i ritmi sono le percussioni di Metcalf, come da copione, mentre a Seelig tocca il compito di tessere le melodie attraverso i flauti bansuri, con piccoli ma significativi aiuti esterni da parte di Paul Casper (Frore) e di quel Max Link già al lavoro nel succitato Intention, oltre che in altre release collaborative in cui figurava Mark. Metcalf and Seelig continue their long-running collaboration on Persistent Visions, released March 29 on Projekt. 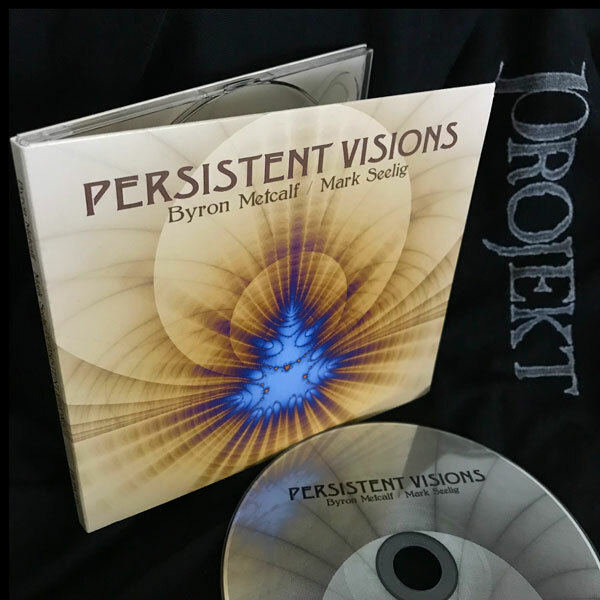 As a whole, the album harkens to the type of tribal ambient music pioneered by Steve Roach 25-35 years ago in a series of now-classic releases. This is not terribly surprising, as Metcalf and Seelig both have worked with Roach at various points since then. But what separates this recording from others of the same ilk is how easily it brings one into its meditative soundscape.